Baptist Center Preschool is a place where children experience God's love because they are loved and accepted, valued and celebrated! We want to partner with the family to introduce God's plan for the child and inspire a love for learning, as well as help them grow in their relationship with God and others. ​Baptist Center Church Preschool is designed to provide a safe and enjoyable atmosphere for 2-4 year old children. We strive to provide children with a variety of activities to participate in each day as well as allowing them to use their imagination while playing in centers with peers inside and out on our playground. We are a Christian facility that exposes children to Jesus Christ by being Christian witnesses through our daily lives. Baptist Center Church Preschool is a member of NC Baptist Church Weekday Education Association. This allows us to network with other NC Baptist preschools and provides opportunities for staff development through training events approved by the NC Division of Child Development. At Baptist Center Church Preschool, we begin each day with Chapel Time where we learn Bible stories, memorize scripture, say pledges, sing and have prayer time. We have weekly sessions that include Music, Creative Art, Physical Fitness and Story-time Adventure. We offer an environment that encourages development in social, academic, emotional, physical and spiritual growth. Baptist Center Church Preschool operates Monday-Friday from 9:00am to 1:00pm. Our program runs from September through May and is available for children ages 2-4 years of age. We offer a 3 day program for two year old kids which meets weekly on Tuesday-Thursday. Three year old kids have the option to attend the 3 day program (Tuesday-Thursday) or the 4 day program (Monday-Thursday). The four year old kids have the option to attend a 5 day program (Monday-Friday or a 4 day program (Monday-Thursday). Mrs. Sherri is a member of Baptist Center Church and is happily married to her husband, Danny. They have two daughters and 1 grandson. At Baptist Center Church, she is a member of the Praise Team, Adult Choir, Preschool Advisory Board and the Finance Committee. She has also taught Sunday School to 4-5 year old kids, served as Women on Mission Director, served as church pianist and worked as a Youth Leader. Mrs. Sherri retired from the Special Operations Division of the NC State Bureau of Investigation in 2010 and began her career with BCC Preschool as the Music Teacher. In 2012, she accepted the position of Preschool Director. Mrs. Sherri enjoys fishing on the lake with her husband, bonfires in the back yard, cooking, poetry and reading. She is very passionate about the Preschool program and excited to be working with such qualified and dedicated staff. Mrs. Sandy is a mother of three children, one boy and two girls. She is happily married to her husband, Brooks, and they are members at Baptist Center Church. Mrs. Sandy is a Sunday School Teacher and has led several Women’s Bible Studies. She is also the Vacation Bible School Director and a member of the Preschool Advisory Board. She and her family are actively involved with their church family and enjoy anything outdoors. Mrs. Sandy has taught preschool for a total of 16 years, including 2’s, 3’s and 4’s. She is very excited to be at BCC Preschool and is looking forward to an exciting year. She thanks you for entrusting your child to our care as we are anticipating an awesome year of learning and growing in God’s love. Mrs. Megan loves teaching the Thriving Three's class. In addition to teaching, Mrs. Megan has thrived as our Physical Fitness Program Director and Instructor over the last 4 years. Megan comes to us as an experienced early childhood educator with a professional background as Program Director at The Little Gym and a Bachelor’s degree in Child Psychology from Westfield State University. 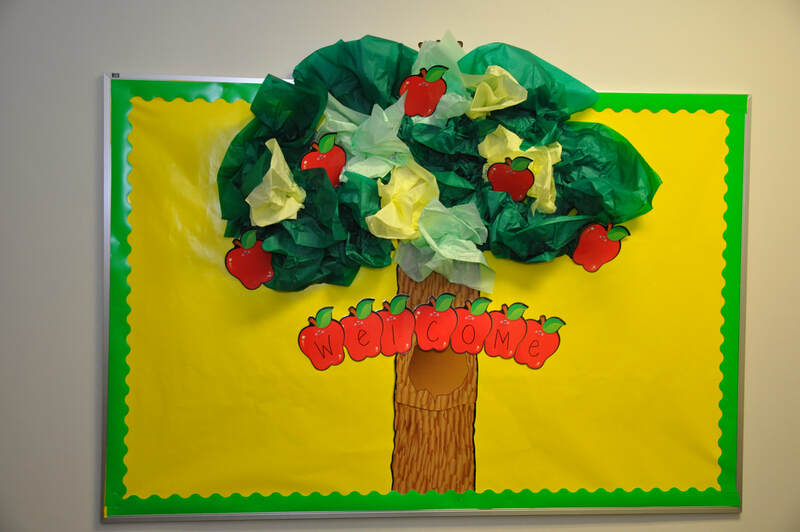 Mrs. Megan is exceedingly skilled at creating educational programs that engage and guide the physical and mental development of our preschool age students. Each week Megan looks forward to spending time with all the children during their custom age designed physical fitness program specifically catered to the BCC preschool students. Megan is also a devout Christian and member of Horne United Memorial Methodist Church and is a loving wife and mother of 2 BCC Preschool graduates. She is an Assistant Leader of Girl Scout Troop 1126 and an avid reader. Mrs. Dee Payne is a member of Baptist Center Church where she serves as a Praise Team Member and Missions Committee Co-chair. She is married to her husband Shawn, and together they serve as Local Coordinators for Appalachian Christmas Outreach, which ministers to the physical and spiritual needs of poverty-stricken families in the heart of the Appalachian Mountains. They love spending time with their children, Ryne age 8, and Clara age 5. They love family trips and outdoor activities! Mrs. Dee has worked in church preschools for the last 5 years, and previously taught for 7 years in Wake County Public Schools. Mrs. Dee holds a Bachelor's Degree in Music Education from Meredith College and a Master's Degree in Music Education from UNC-G. She loves the process of teaching and learning and gets really excited when a student has an "aha" moment. Outside of school, she privately tutors and teaches piano to school-age children. Mrs. Susan is happily married to her husband, Johnny and they have two children and two grandchildren. She is a member of Plymouth Baptist Church in Garner, NC. Mrs. Susan retired from the Special Operations Division of the NC State Bureau of Investigation in 2012. She has been working with preschool age children for 4½ years and this is her third year with Baptist Center Church Preschool. Mrs. Susan is very family oriented and enjoys going to the lake every summer. She loves children and is very excited to be working at BCC Preschool. Miss Danielle is a member of Baptist Center Church. She has several years experience assisting with preschool kids at BCC Preschool and Summer Smash Day Camp. She graduated from West Johnston High School in 2012 and was an Honors Art student while there. She has taken several art and photography classes and is very passionate about creativity. Miss Danielle also loves reading to the children during Storytime Adventure and helping them choose library books to take home. Miss Danielle is an animal lover and has 2 cats and 2 leopard geckos. She is very excited to be teaching your children about the wonderful world of books and adventure. Miss Cassidy Long is a member of Baptist Center Church. She graduated from Neuse Charter School in 2017. She enjoys working with kids, riding horses and being outside. Miss Cassidy has worked with Vacation Bible School and Summer Smash Day Camp for four years with experience in all age groups. This is her second year with Baptist Center Church Preschool and she is more than excited to be working with the Thriving Three's. Miss Kaitlyn has been an assistant within the Totally Terrific Two's classroom for two years.